Staying on top of all the information that flows through a team of consultants is a tough gig, especially if administration of recruitment activity isn’t treated with the priority it deserves. Offices are often awash with whiteboards designed to track activity and upcoming events or dialogue is relied upon to get up to date information. It’s no secret that as a manager, it can be tough to assimilate all of this disparate information into a cohesive approach to make sure that you get the best out of your people. cube19 helps directors, managers, and consultants to overcome this challenge and gain access to all of the information they need to gauge progress, promote focus and improve performance. Managers have every tool needed to be successful, but even then a lack of time or overburdening workloads are cited as reasons not to produce the critical insights that they know will help them. Sometimes, without any background in Excel or creating insights from data, features like Slice & Dice might appear intimidating. 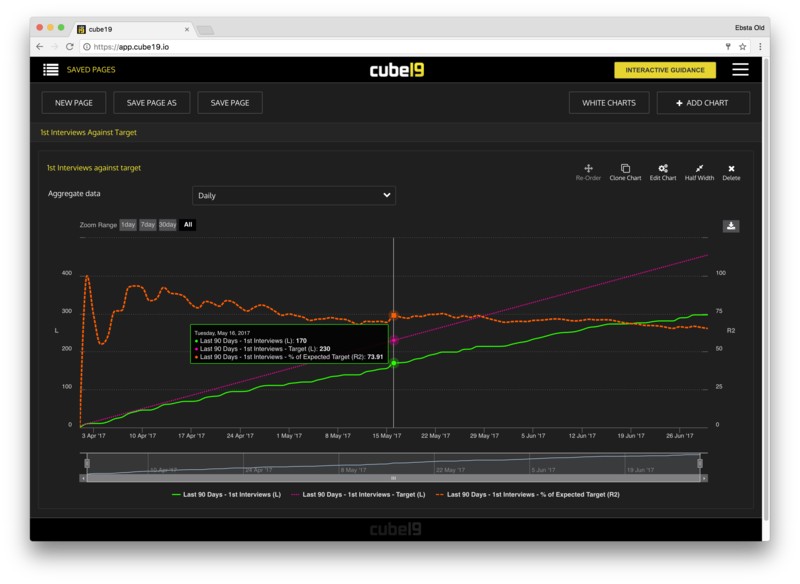 We have created the Managers Toolkit to make many key insights available without any effort required, but also to demonstrate the underlying simplicity of cube19’s features. No degree in data analysis is required. So there is no rocket science here. 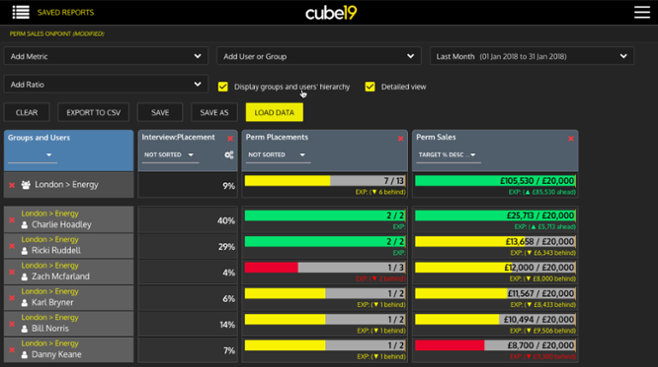 We want to make it easier than ever to use cube19 while provoking our customers into some critical thinking through a combination of pre-built reports and exposure to the right training resources. 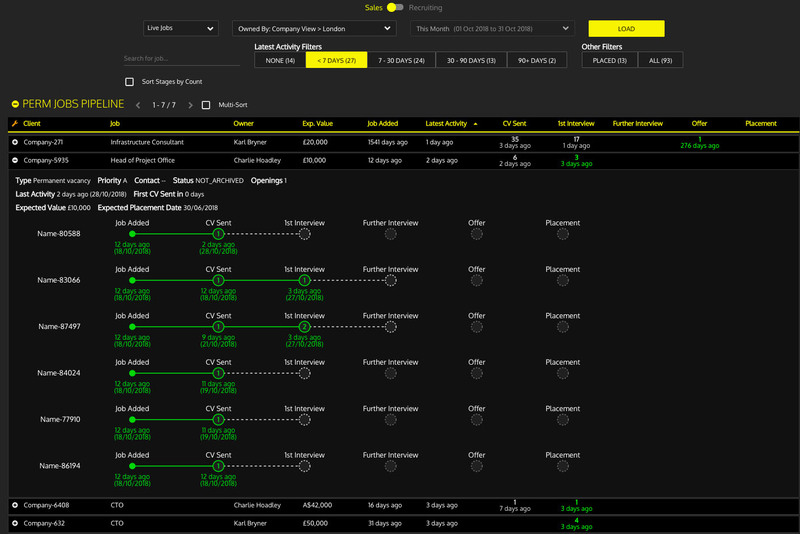 We have created a suite of pre-made Slice & Dice management reports, built using our experience and hundreds of interactions with our customers. 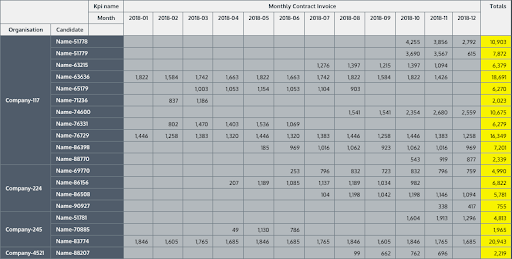 These include reports such as Client Activity, Contractor Care, Projected GP, Source ROI, Average Fee % by Client and Pending Interview Whiteboard. We have also created an Advanced Charting page covering sales performance over time and activity and ratio trends so you can use historical performance as a guideline or benchmark for the future. Couple this with OnPoint (for comparing individual/collective performance against target and easy target setting) and Jobs Pipeline (to ensure that the team is capitalising on the best placement opportunities) and you have the ingredients for success in your hands. However, we understand that recruitment is not a one size fits all profession. We know that some of the default Managers Toolkit reports might not resonate with your workflows or management styles. That’s why we want the Managers Toolkit to be the foundation for internal discussion. What information do your managers rely on to manage their teams effectively? Is there a lack of consistency in reporting across your teams? 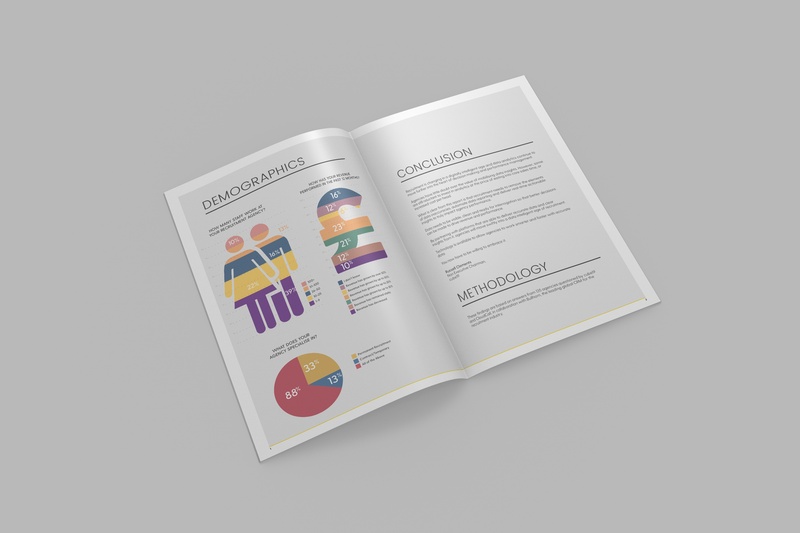 Do you spend more time discussing whether the data in the report is accurate, rather than the data itself? Let cube19 help you address this challenge. 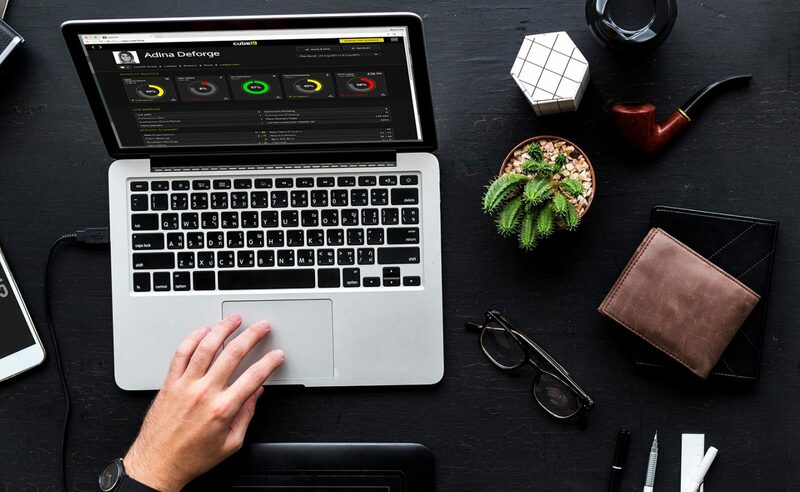 We would love to help you build out your own Managers Toolkit, with reports that fit into the operating rhythm of your managers and deliver value across the board. We also want to ensure that managers have sharing privileges so that inspirational insight generated in Slice & Dice can easily be shared amongst peers. So get in touch with the cube19 Customer Success team to find out more about the Managers Toolkit, OnPoint or Jobs Pipeline.